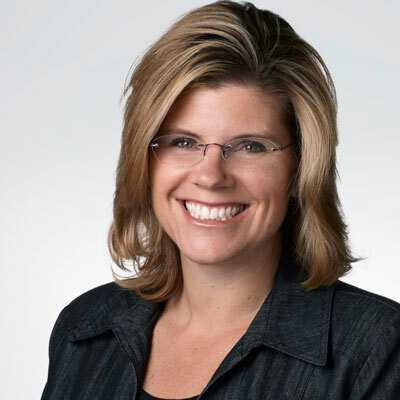 Stephanie leads Dell EMC's Global Channel Operations organization. She and her team are responsible for enabling Dell EMC's partners' and distributors' deal registration, order management and delivery experience, as well as the organization's channel compliance program. Stephanie has a 17-year track record at Dell working in many different disciplines, including software, customer success, enterprise support, marketing, sales operations and diversity. Prior to joining Dell, Stephanie was a manager at A.T. Kearney, a consulting firm. There, she focused on operations consulting including engagements in post-merger integration, supply chain management, channel strategy, operations improvement and strategic sourcing. Stephanie also worked at Coopers & Lybrand in their audit practice. Stephanie also earned a C.P.A certification from the state of Michigan. Stephanie holds an MBA from Michigan State University. She earned her BBA from the University of Michigan. Stephanie and her husband live in Austin, Texas. They have 2 children - Alexander, age 14 and Sydney, age 11. Stephanie loves running and yoga as well as travel and spending time with her family. Stephanie led a cross-functional end-to-end enablement program to make Dell EMC easier to do business with for our partners. To date, our program has accomplished the following: - Reduced deal registration conflicts by 25%+ - Drove an increase in deal registration win rate by 5%+ - Created ability to measure first time approval rate for deal registrations, to reduce churn in the approval process - Provided data to top partners around deal registration, to help them better understand and engage with Dell EMC on new opportunities - Brought support service level agreements back in-line and improved engagement model between internal sales teams to drive collaboration and wins She also re-vamped the operations partner engagement model to improve focus on partners, drove a comprehensive training program and strategically positioned resources to proactively engage with partners, her team identified and drove closure of issues impacting our Titanium and Titanium Black partners, drove process improvements through newly created standardized case management to simplify our partner's ability to request and receive support for any operational issues, restructured team and up-leveled talent to drive a more process-oriented and structured operation by streamlining and simplifying our ability to provide a more scalable and better partner experience. Was awarded Dell's Inspiring Leader Award, given to the executive whose leadership drove engagement and impact across the company. One woman, outside my family who I really admire is Oprah Winfrey. Although this may be the case for many folks, I still choose her as she exemplifies leadership qualities that I try to emulate. She knows how to connect with people on an emotional level. She comes across as a very authentic individual and she uses her intellect, power and fame to help make the world a better place. There are three pieces of advice that I would give my 16-year-old self: • Be present • Take risks • Prioritize I have learned that listening and being present is one of the most effective ways to find solutions for tough problems and driving innovative change. In the moments I am courageous enough to take risks, I find that I can either accelerate a goal in my life or create a moment that would have been impossible without that risk. Finally, being aware of priorities is key to meeting both your personal and professional goals. One new job-related skill that I would like to master is becoming multi-lingual and having the ability to conduct business in another language. Specifically, I would like to focus on learning Mandarin. I have run global organizations for more than a decade and most of the business has been conducted in English. I firmly believe I could be more effective if I could better interact with our customers, partners and employees in their native language. I would choose Mandarin since the Chinese market is such an important one in the technology industry. The best book I read this year was Thomas L. Friedman's "Thank You for Being Late - An Optimist's Guide to Thriving in the Age of Accelerations." Friedman is one of my favorite authors as he takes very complex subjects and simplifies them. In this book he brought an interesting perspective about embracing technological change and leveraging it to improve the world. This book really made me pause and think about how I should approach my life and career and how to guide my children as they prepare to become adults.